Mental health act Australia aiming to identify and discuss various issues of mental health act which is prevailing in state. For this assignment mental health act of 2000 for Queensland State would be the base mental health act. In this HLTEN510B mental health act Australia assignment focus would be on identifying the definitions and how relevant these acts are in defining mental illness and how they impact in formation and defining of an involuntary patient. Mental health care act 2000 (QLD) also provides a separate amendment which enables it to conduct involuntary assessment of a person for mental illness and its signs. Q.1 What does the relevant act define as mental illness and mental disorder? Ans:- Mental health act of 2000 for Queensland define mental illness as a clinically significant disturbance of thought, mood, perception or memory. In mental health definition of mental health act of 2000 for QLD it is also mentioned that there are many exclusion criteria as well regarding mental illness. For example a person cannot be considered as mentally ill if he or she refuses or accepts a particular belief, religion, group, way of living etc as long as it is healthy and un harmful for self as well as others. A person is also not considered as mentally ill if he or she is involved in sexual promiscuity and engaged in indecent or immoral conduct. Similarly consumption of alcohol and drugs is also not considered as criteria for mental illness. 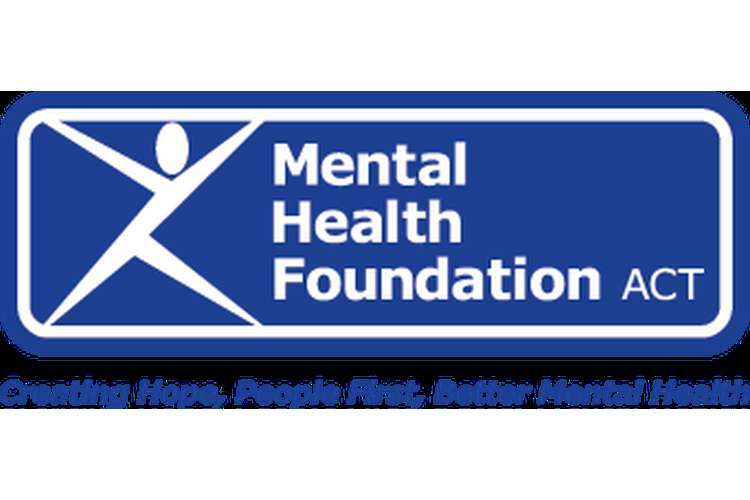 Any person who has been treated previously for any mental health disorder would also be not considered as a criterion to consider a person as mentally ill (The Mental Health Act, 2000). Q.2 In what ways may a person be made an involuntary patient? Ans:- According to mental health act 2000 of QLD purpose of a involuntary patient assessment is to determine if a person is in need of treatment for mental illness. The Mental Health Act 2000 provides access to involuntary assessment for mental illness. Under the Act the process for initiating and conducting involuntary assessment is streamlined. A significant safeguard within the Act is the separation of the processes for authorising involuntary assessment and involuntary treatment. It is often observed that many people are not aware of their mental disorders consciously and they would not voluntarily go for a mental health assessment. In such situation administration and authorities can take the initiative and assess a person who is suspected of suffering from mental health disorders. There are certain criteria for that determined by the act like person should be showing some signs and symptoms of a mental health disease, or they are in a high risk group or they are involved in some situations where mental health and safety disorder might be the causative reason or it could be a side effect. For example if a group of person were involved in a terrorist attack or a traumatic incident from which they survived then they are a high risk group for PTSD and qualify for involuntary assessment (Review of Mental Health Act 2000, 2011). Ans:- Any person who is an adult and have a reasonable causes to believe that another person is suffering from a mental health disorder can make such request. In order to make a request a person should be in contact of the person for which request has been made in last 3 days of request. The belief of one person or reason cited by a person in request should be of that level that it qualifies for a mental health assessment. Such requests should be made to a authorised mental health service of state who are licensed to provide mental health services. Recommendation for assessment and its documentation has to be made by a doctor who has assessed the person in last 3 days. Similarly if a justice examination order has to be made then this document can be authorised by a justice of peace or a magistrate of any QLD court. This order is valid for next 7 days in QLD and it authorises a qualified doctor along with a mental health nurse to make the assessment and provide a detailed report. Another document which can be made is a emergency examination order which can be authorised by a police officer, a psychiatrist or a ambulance officer but there are very strict criteria which needs to be fulfilled by the officers when they make such requests. Generally in such requests and documentation involvement of police is not needed but they are legally required to provide assistance if requested by the request maker, judge or the psychiatrist who is conducting assessment (Mental health and law, 2013). 4. What is the definition of an involuntary patient? Ans:- Any patient who is either being admitted to a psychiatric facility or provided with mental health treatment on recommendation of a doctor without consent is a involuntary patient (Review of Mental Health Act 2000, 2011). 5. What is the role of an Allied Person? Ans:- Role of a allied person cannot be determined and selected by any individual, in majority of cases patient himself make that selection or in case patient is not capable of decision making then person who is holding medical power of attorney or decision making can decide who can be the allied person. A patient has to nominate an allied person on the form itself at any authorized mental health services facility in Queensland. Role of a allied person is to help the patient in finding a lawyer or arranging for a interpreter if patient belongs to a culture with different language etc. Similarly allied person would help the patient to read and understand the report of doctor regarding his mental health status before going into the court or presenting it to a judge. Allied person would also help the patient in writing his views and thoughts about his case and illness and also give argument on his behalf if patient is not able to make his case properly (Mental health and law, 2013). Review of Mental Health Act 2000, (2011) Queensland government (online) available on http://www.health.qld.gov.au/mentalhealth/news/MHA2000-review.asp last accessed on 26th September 2013.